Yesterday I got a desperate call from my husband. He said he and Grandmoma found a hen choking. I thought he was choking. I couldn't figure out what in the world he was talking about. Who has ever heard of a choking chicken? I asked him to repeat what he said. Again he said a choking chicken. I told him he must be mistaken. How can a chicken choke? "Really!" he said, "I'm serious! She's turning blue!" "She can't breathe!," he said in a panic. What do you do with a choking chicken? Hubby said while he held the hen, Grandmoma opened up her mouth and stuck her finger down the hen's throat. "Did it work? ", I questioned. Hubby wasn't sure. She was trying to throw up whatever was choking her but he and Grandmoma were stumped with what else to do! Hubby told me, "I'm going to put her in the dog house. I don't think she'll make it. Check her when you get home. We'll bury her this evening when I get home." So when I came home, I checked in the dog house. I was sure I was going to find a dead laying hen. When I looked in, there was no chicken. I stuck my head in the dog house and looked every where. No chicken. No where was there a dead chicken. No where was there any chicken in that dog house. I started to looked around but the rain was coming down harder so I went inside. I asked Grandmoma if she had seen the hen. 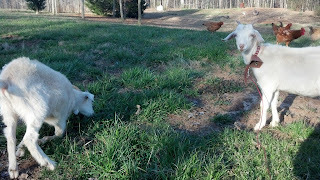 She hadn't and could not believe me when I told her that the poor hen was not in the dog house. 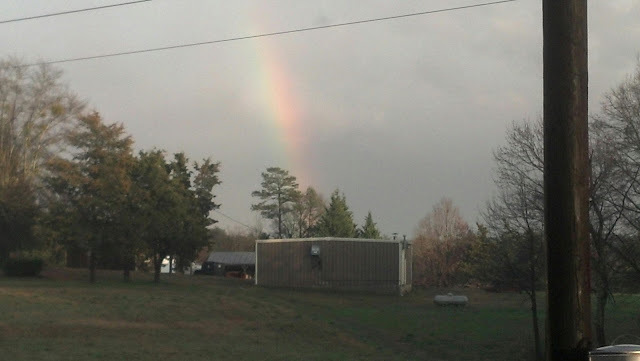 We started to look outside but the rain, thunder, and lightning pulled us back inside. 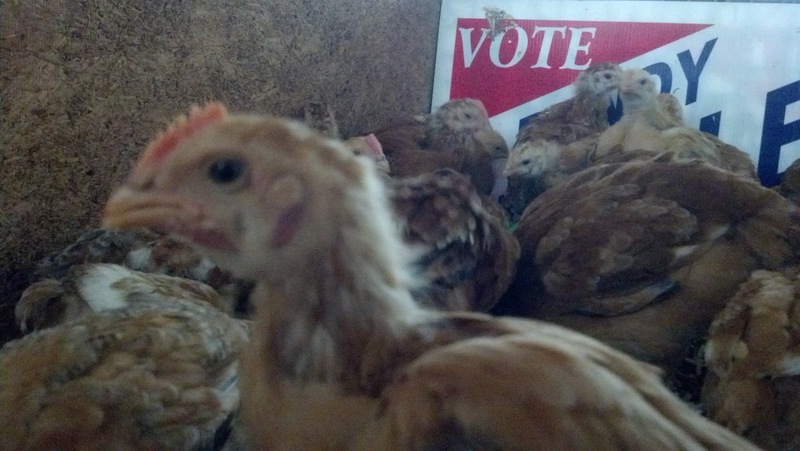 We saw a few of the chicken that she would hang out with but we weren't sure if it was our choking hen or not. If you have ever seen a wet chicken you would know that they had hard to identify. 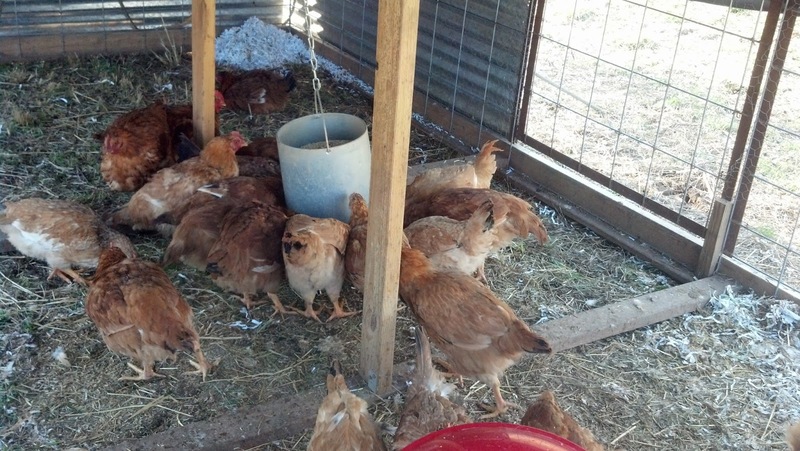 When I came home the next day, I found the group of hens that our choking hen stayed with. As I counted the hens, I soon realized she was with them. One, two, three...all three were there! She was alive! I looked in the dog house and realized that Grandmoma's finger down the throat had worked! The hen had thrown up whatever it was that was choking her and she was alive!! With all the Spring CSA Pastured Poultry on the farm, it's time to get ready for our next CSA. 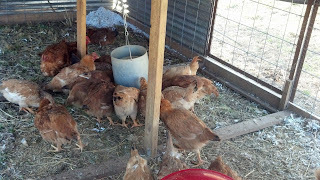 The Summer CSA Pastured Poultry needs to be in by March 31, 2013. We still have room for a few more customers who want to supply their freezers with healthy tasty chickens for their family. 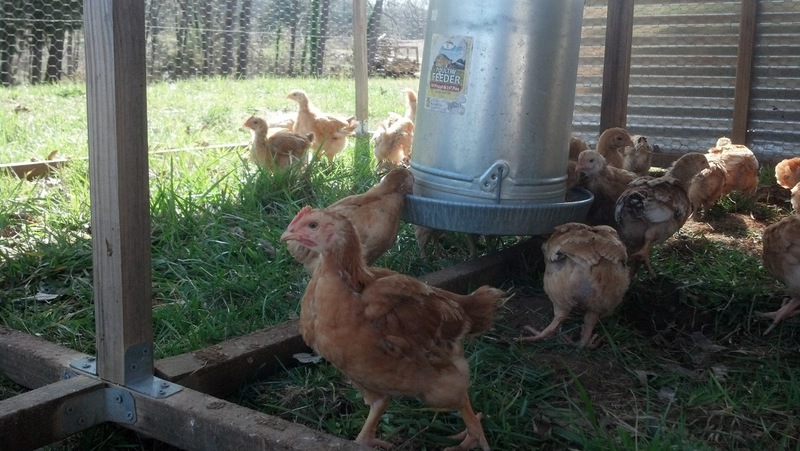 Pastured Poultry have an actual taste! A taste that keeps you from using as much salt or other spices to flavor your chicken because the flavor is already there! 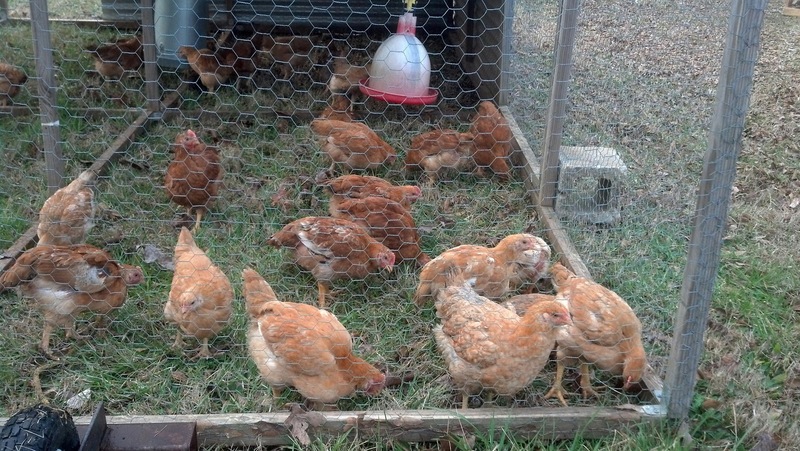 They are not filled with all the extra water and antibodies that "plump up" the chickens. They are the way chicken should be....natural chickens. If you are interested in feeding your family healthy food, check out the Pastured Poultry tab at the top of the web site. You can pay by clicking on the Pay for Your CSA tab. We are also taking Pastured Pork CSA orders. These hogs are raised on pasture and woodlands as well as given table scraps and some grains. This gives the meat a flavorful taste while keeping it tremendously leaner than anything you will find in the supermarket. It not only makes excellent pork chops, but amazing sausage! 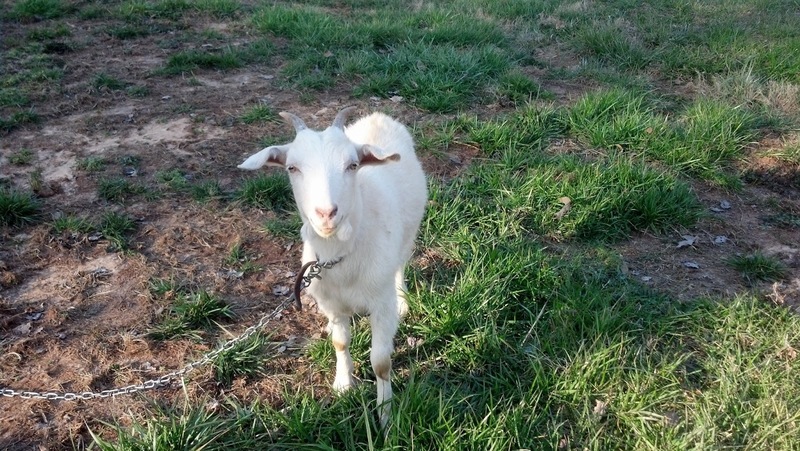 When you order Pastured Pork CSA, we will ask for a deposit. The deposit is non-refundable but will be put toward your final cost unless you cancel your order. They take about 4 months to gain slaughtering weight. We will grow out your hog once you place your order. If you are interested in feeding your family healthy, tasty pork, check out the Pastured Pork tab at the top of the web site. We will transport to the processor and pay for your processing. That's right--processing is free! You can pay by clicking on the Pay for Your CSA tab. Your Pastured Pork can be paid for in installments but must be paid in full before processing. Today new chicks came in! This is our last batch of our Spring CSA. 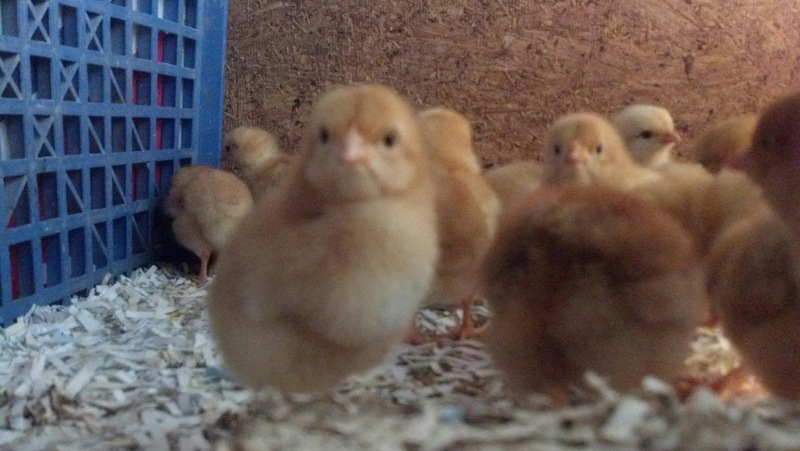 Baby chicks are just too cute!! We all have a hard time not picking up each and every one and hugging them up close. It reminds me of the Bugs Bunny cartoon with the Abominable Snowman...."I will hug him and squeeze him and call him George." We have to really watch Hamp. He turns into Abominable when he picks up a baby chick. The chicks give me a look like that of Bugs Bunny...."What is happening to me?? ". Hamp so wants to hug them but ends up squeezing them until their eyes bug out! We have to usually rescue the poor chicks.